Rahul Gandhi for prime minister in 2019? There seems to be a lack of consensus on that front in the so-called United Opposition. The proposed coming together of all the Opposition parties before the 2019 Lok Sabha elections to counter the BJP has already run into trouble over their inconsistent remark on the probable prime ministerial candidate. While DMK leader MK Stalin proposed the name of Congress president Rahul Gandhi to lead the proverbial mahagathbandhan, other Opposition leaders made there displeasure known at the idea. Just a day after Stalin heaped praise on Rahul and expressed faith in his leadership, PTI reported that a number of opposition leaders anonymously expressed reservations over naming any prime ministerial nominee for the Opposition alliance before the general elections. 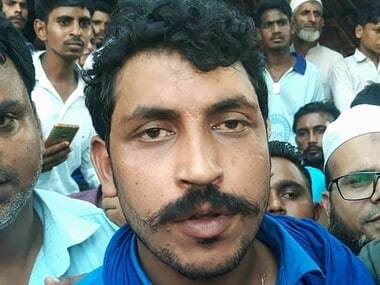 "The Sanajwadi Party, Telegu Desam Party, Bahujan Samaj Party, Trinamool Congress, and Nationalist Congress Party disagree with Stalin's announcement. It is way too early to make any commitment over the prime ministerial face and moreover the united Opposition has not formally announced any alliance for it to be able to announce a common prime ministerial face," a top Opposition leader told the news agency. Nationalist Congress Party subtly yet clearly disagreed with the idea of unanimously handing over the top post to Congress. Party spokesperson Nawab Malik said that it was futile to hold an immediate debate on the prime ministerial candidate. "The Congress itself has declared that it will be decided after the election results," Malik said. 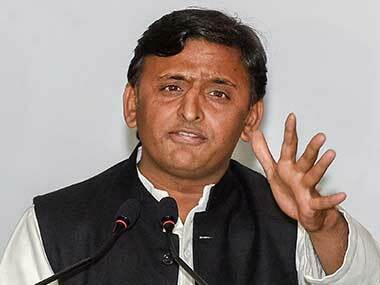 Samajwadi Party chief Akhilesh Yadav, who's bonhomie with Rahul was the subject of much deliberation during Uttar Pradesh elections, also said that naming Rahul as prime ministerial candidate may be Stalin's wish but rest of the alliance partners disagreed. Mamata Banerjee-led Trinamool Congress, which has been on good terms with other opposition parties but has not shown the same warmth with Congress, also clearly disregarded the idea. “This is not the time. It could be discussed only after the 2019 Lok Sabha elections, once the Opposition alliance emerged winners. All (Opposition) parties will meet and decide on the issue. We will accept that," Banerjee said. It was this very public disagreement within the Opposition leaders that added fuel to talk that the Modi-versus-rest ensemble remains a distant dream. BJP president Amit Shah was quick to pick up these signs of differences and dubbed the Mahagathbandhan an illusion. “The reality of the opposition ‘mahagathbandhan’ is different. It (the opposition alliance) doesn’t exist and is a ‘bhranti’ (illusion),” Shah said on Wednesday. It wasn't like the Opposition leaders did not know that by publicly expressing displeasure on Stalin's proposition, they will perpetually hand over an opportunity to BJP to rubbish the idea of alliance and fan speculations in media. But in going public with their disagreements, the Opposition leaders sought to drive home a crucial point: that Congress should not be under the impression that it will walk over smaller parties to grab the top post, simply by the virtue of being the oldest national party. The messaging was strong. They probably wanted to tell Congress that buoyed by three victories in Assembly polls, the grand old party must not assumes that Rahul is the automatic favourite to lead an anti-BJP alliance in 2019. Congress must secure the lion's share of the Lok Sabha seats from amid other alliance members if it dreams of placing Rahul firmly on the saddle. This was clear earlier too, when NCP chief Sharad Pawar had suggested a formula of his own to pick a prime ministerial candidate to avoid any disputes within the grand alliance. "Let elections take place, remove these people (BJP) from power. We will sit together. Whichever party has got more seats can claim the prime minister's post," Pawar had said in August this year. Stalin's pitch that the Gandhi scion had the ability to defeat the "fascist" Narendra Modi government have no takers within the mahagathbandhan. 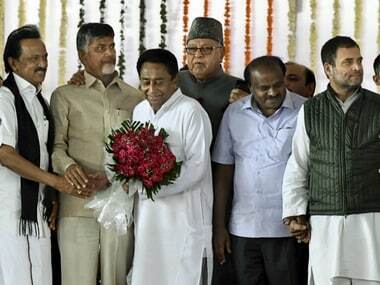 The regional satraps might have their own prime ministerial ambitions as these parties look at expanding their base beyond their respective home states. Meanwhile, for DMK chief Stalin it made sense to pitch for Rahul because he has not displayed any such national ambitions. In fact the DMK chief's plea was in line with the tradition of his late father M Karunanidhi who had earlier invited Indira Gandhi and Sonia Gandhi for leadership roles. However, Stalin's remarks perhaps worried other members of the mahagathbandhan so much that many of them were a no-show at the swearing-in of the newly-elected Congress chief ministers despite offering support in forming the government. 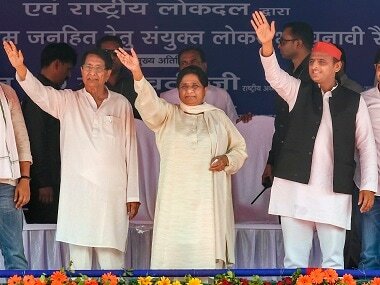 The notable names to give the swearing-in ceremonies a miss were BSP supremo Mayawati, Akhilesh and Mamata. 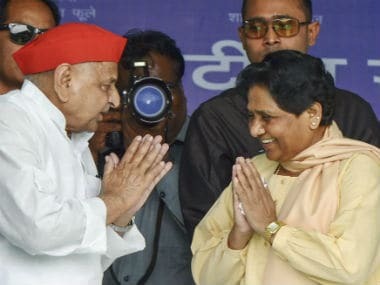 More conspicuous by their absence were Mayawati and Akhilesh, who had offered support to Congress in Madhya Pradesh and Rajasthan. The Congress had written to all Opposition leaders inviting them for Congress chief minister's swearing-in, in a bid to show the Opposition unity.